Mon 8/27: The Radicalization Process revisits the revolutions of 1960s and '70s America. It's part of "68+50," Illinois Humanities' commemoration of the 1968 Democratic National Convention. 7:30 PM, Co-Prosperity Sphere, 3219 S. Morgan, 312-422-5580, ilhumanities.org/​program/​6850, $10. Tue 8/28: Heartbreak Hotel takes us back to Elvis's early, prejumpsuit years, and all the classic hits you know and love! 7:30 PM, Broadway Playhouse, 175 E. Chestnut, 312-977-1700, broadwayinchicago.com, $30-$74. Tue 8/28: According to the Reader's Andrea Gronvall, Crazy Rich Asians boasts " . 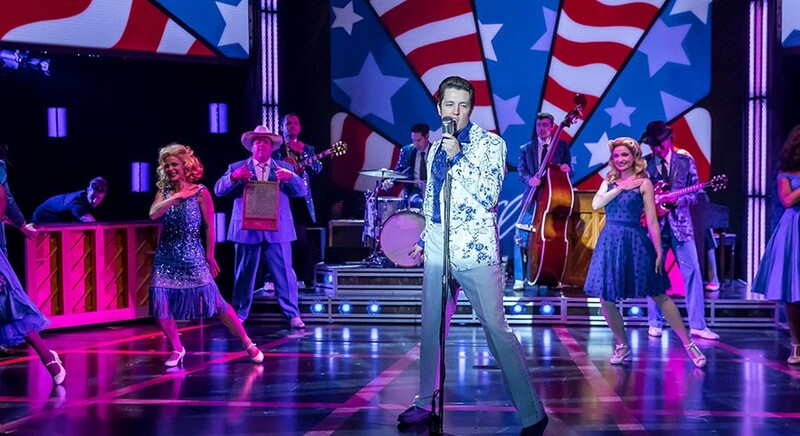 . . knockout visuals, a winning cast, and an irrepressibly feel-good vibe [that] make this dazzling romantic comedy one for the ages; the only possible way it could have improved is if it had been a musical." See showtimes for more info. Wed 8/29: Chicago blackened death-metal band Matianak make the music of nightmares. "To embody this nightmarish inspiration, front woman Arelys Jimenez—a horror buff and taxidermy enthusiast—dons terrifying, gruesome makeup and props for the band’s performances," writes the Reader's Monica Kendrick. 7 PM, Reggies Music Joint, 2105 S. State, reggieslive.com, $15. Wed 8/29: Arborea guitarist Buck Curran expands his meditative solo practice on Morning Haikus, Afternoon Ragas. "Since he began making solo records a couple of years ago, his liquid fluency has taken a more rhapsodic direction. He's achieved a new depth with his recent Morning Haikus, Afternoon Ragas," writes the Reader's Peter Margasak. 9 PM, Hideout, 1354 W. Wabansia, hideoutchicago.com, $10. Thu 8/30: Chicago experimentalists Mako Sica find a sweet spot with master percussionist Hamid Drake. 8:30 PM, Constellation, 3111 N. Western, constellation-chicago.com, free, 18+. Thu 8/30: Round Robin offers improvised duets from jazz, rock, experimental, and hip-hop musicians, and more. " Tapped to organize a Chicago iteration, Scottie McNiece of local recording company International Anthem selected 15 diverse musicians, producers, and spoken-word artists who either live here or have deep Chicago roots," writes the Reader's Peter Margasak. 8:30 PM, Thalia Hall, 1807 S. Allport, thaliahallchicago.com, $5, 18+.